When I first moved to buying more natural cleaners and natural food products, my husband and I were really wondering how we were going to afford it. It seemed that companies were raising the prices of their products just for having a natural label. It took me a while to find products I liked, but they still were pricey, leaving me trying to find substitutes or ways I could bring down the cost of our other groceries to afford these natural foods and cleaners within our monthly grocery allowance. Having been buying natural cleaners and natural food products for some time now, I have learned some tips that have helped our budget and allowed me to get more of the products I love! Contrary to what many people believe, it is possible to find coupons for natural products. Unlike most of the coupons found on coupon sites, the majority of really good coupons come from the products’ manufacturers’ website, as well as writing the company. They are very happy to help you out when it comes to affording their products, since the producers want you to try as many of them as possible. As well, quite a few natural foods that can be found in your local grocery store regularly appear in your store’s weekly food ad. While they may not be on the front page, they are usually off to one corner of the ad, highlighting the natural food products that are on sale for that week. These sales usually run in cycles, so once you watch your ads, you will see which weeks are the best for combining both the sale and your coupons, saving you even more money with coupons for natural products! One of my favorite little known secrets online is Alice.com. This small website focuses on natural cleaners, as well as natural food products. They constantly have coupons for natural products that are exclusive to their site, making their great prices even better with these coupon deals. Since they also carry some hard to find green products, it is very easy to get drawn in, looking through all the natural items at this store. As well, they have free shipping on all of their items as long as you spend $40, so make sure you have a large order to get the most bang for your buck. Normally, I receive all of my products from them within two business days. Many people think of Amazon.com as the place to get books, but this site really has just about everything! My family buys most of their electronics, games, and many other things at Amazon. They also have some of the best prices on natural cleaners and packaged natural food products, especially if you want to buy them in bulk. If you have their Prime membership, you can get anything you want delivered to you within two business days, allowing you to have just what you need when you want it. I normally buy my paper products from Amazon when they aren’t on sale at Alice.com. They also are constantly running sales on the natural food items in their grocery section, so make sure to check out their deals of the day, every day! Note: For those who have been reading our blog since the beginning, you have likely noticed that we have started to run Amazon deals on our site. 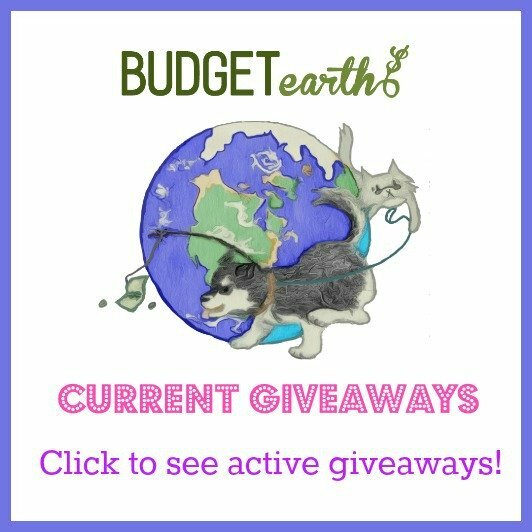 Since Amazon has the best deals on the products I review and I have been purchasing everything from them for years, it seemed to be a perfect fit for Budget Earth. After talking it over, Daniel and I felt some of the ads being promoted on the site were intrusive and really didn’t have much to offer our readers. Hopefully you will find good deals on Amazon like we do to help you not only stay healthy, but save money! If you have a great way to save money on these products, or others you use in your home, please share it with us in the comments below. great post! These are some great ideas as I have been trying to buy more natural products, but they are more pricey. I have never neard of Alice before thanks for sharing that site with us. I so need to find ways to save on these foods. I am always looking for ways to save on groceries, especially organic foods! I am glad you shared Alice with us, I understand they have wonderful products and good prices – I want to feed my family 'good' food and it seems that junk is inexpensive and the healthy things cost so much more. Thanks for the Alice.com tip. I will definitely be looking into that!